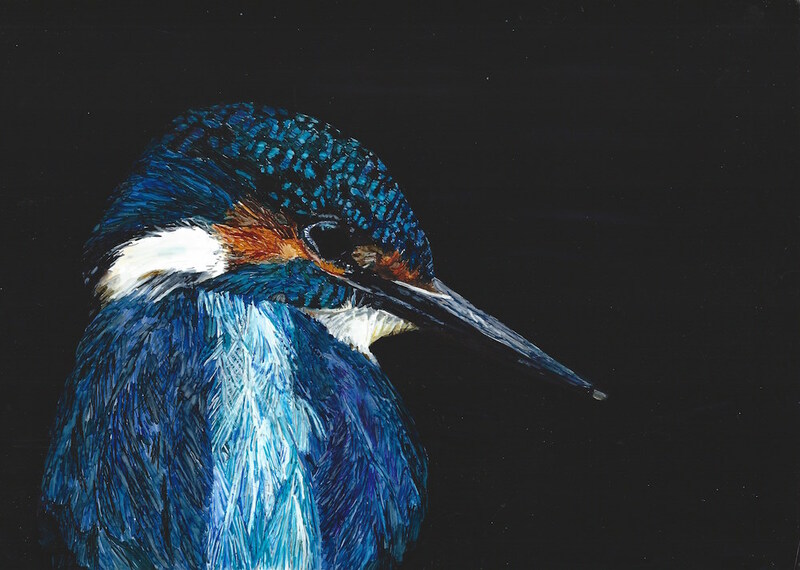 Here's my interpretation of Russ Bridges very close up Kingfisher with Alcohol Ink and steps along the way. 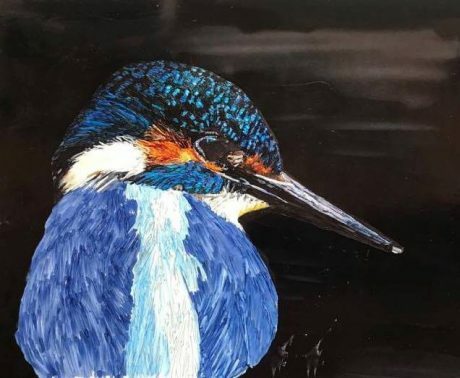 I really was attracted to Russ Bridges image of a Kingfisher from Photos for Artists on Facebook. Here’s my painting. 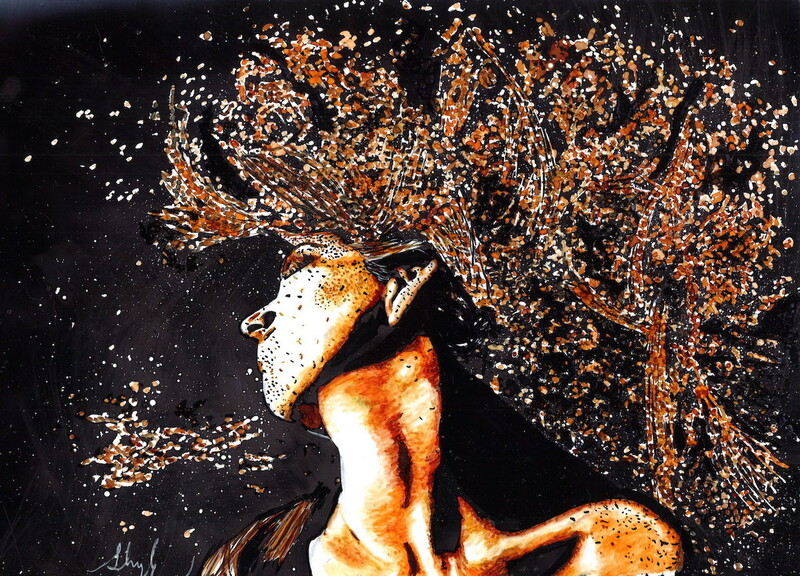 It’s Alcohol Ink 9 x 12 on Yupo Paper. I was intrigued with Hélène Rush’s use of Superfineline Markers and had to try them out. I used them on the feathers. I masked out the Kingfisher first with frisket Film and then Airbrushed the black background with Pinata’s Mantilla Black. I like it because it’s a glossy black. Next I laid out the map of the lightest colors to be used and started on the head. Here the head is finished then on to the body and feathers. 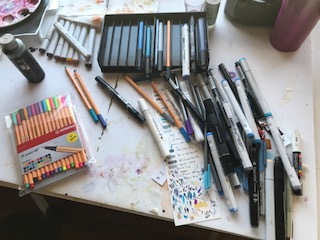 Here’s the pens and markers left on the table when I finished. I tried both the Stabilo and Staedler Fineline markers and for this project the Stabilo were better because they didn’t clog. Also on the table are a lot of Blick Markers and Bic Mark-it Markers and some TouchFive knockoffs. Now I’ve got to clean up the mess. Once more the finished painting. Thanks to Russ Bridges for his fantastic photograph. 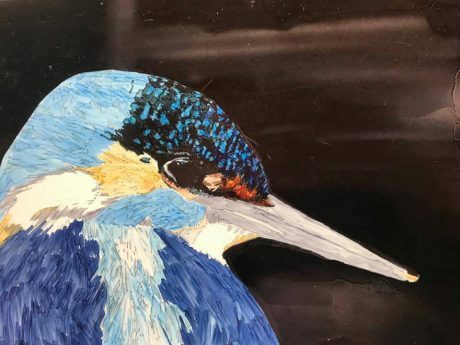 10 responses on "Time to Paint - Kingfisher"
Thank you. Great job. I was really suprised with the smooth, solid black background, until you said airbrush! Great idea. And I appreciate the look at the markers. I learn a lot from you. I’m just trying out the airbrush and will need a lot more practice. I’ve done some black backgrounds with a large brush and they weren’t too bad. In this case the airbrush worked really well. Sheryl, this is just fantastic. I admire your patience with all of those fine-line markers. Thanks, Cathy. It was interesting to see how to break up larger areas from the markers with the fine lines. Very good for feathers and we’ll just see what else. They are really small. They worked well for feathers and I understand why Hélène used them in the Ostrich. I like the Stabilos better than the Staedlers. You can get a similar affect with the Bic-Mark it Ultra-fine point. I think the prices are similar. Love this. I wondered how you got such a smooth even black background. I bet you could do a lot of nice things with an air brush. Another thing for my wish list. Thanks for sharing. Hi Jeanne, I got the compressor to blow flowers and decided to try the airbrush. I used it in the Wild Woman painting. Really saved the day to get into all those nooks and crannies. Beautiful work, Sheryl! 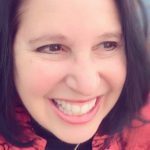 Thanks for sharing your process! Thanks, Amanda. I enjoyed it.